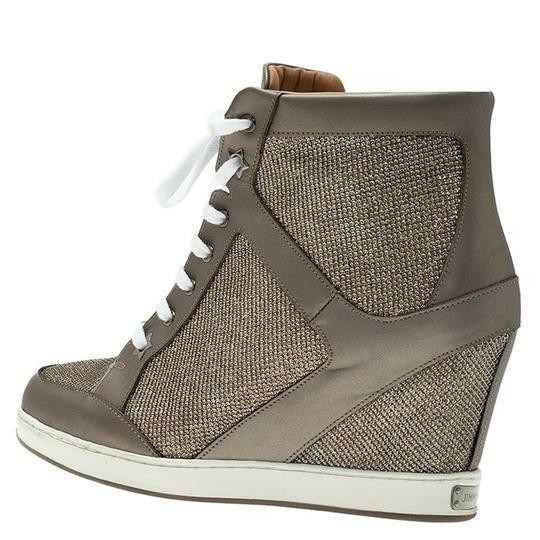 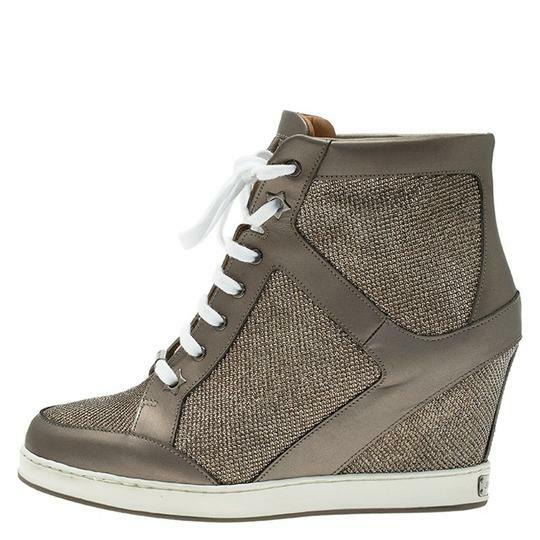 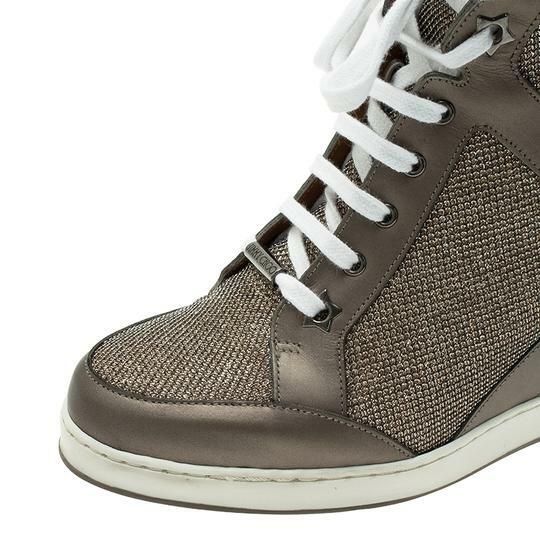 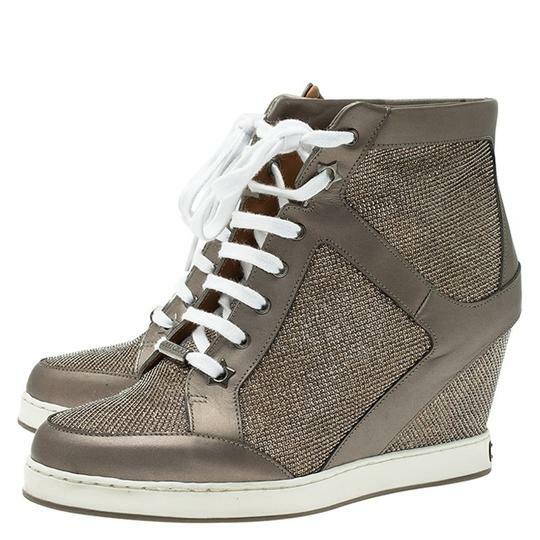 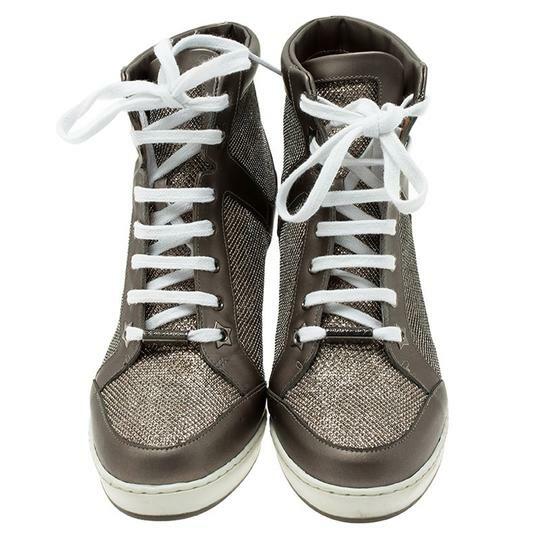 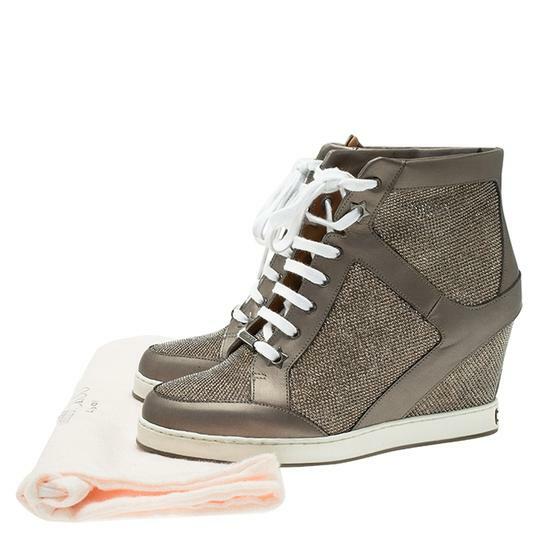 These Jimmy Choo Preston Panama Wedge sneakers are characterized by contemporary styling. 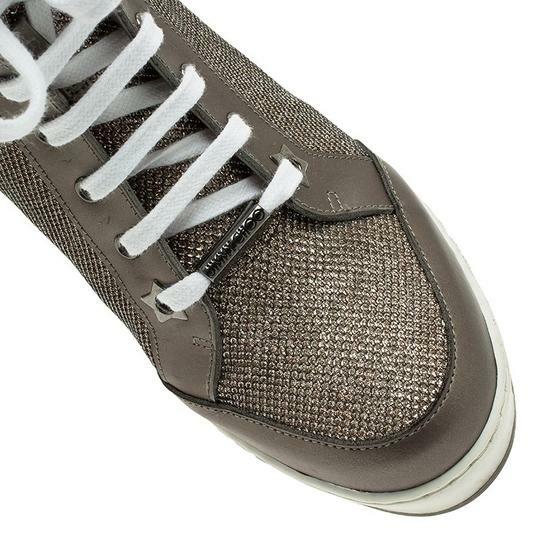 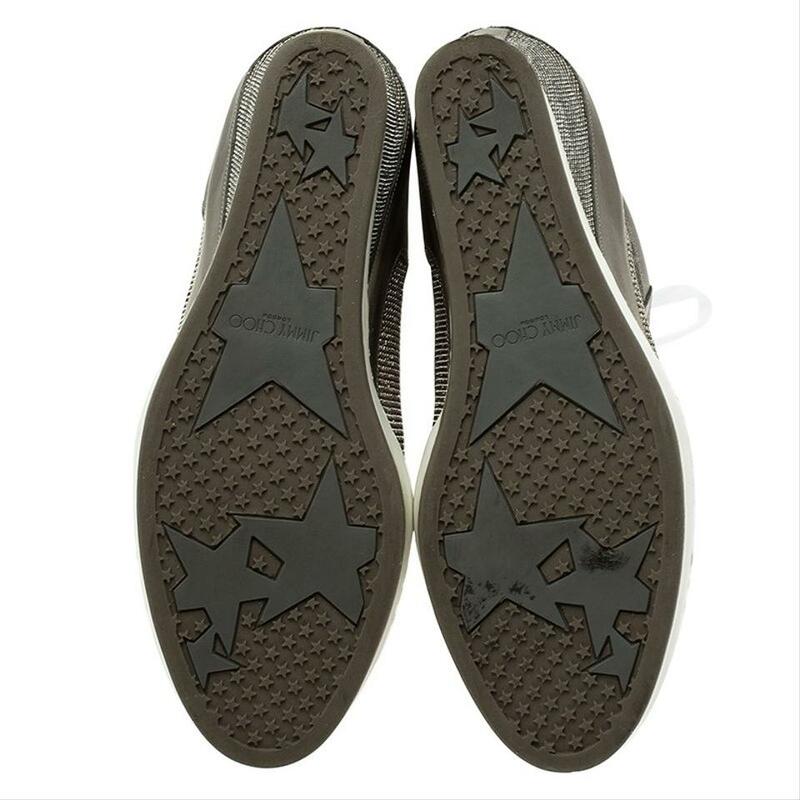 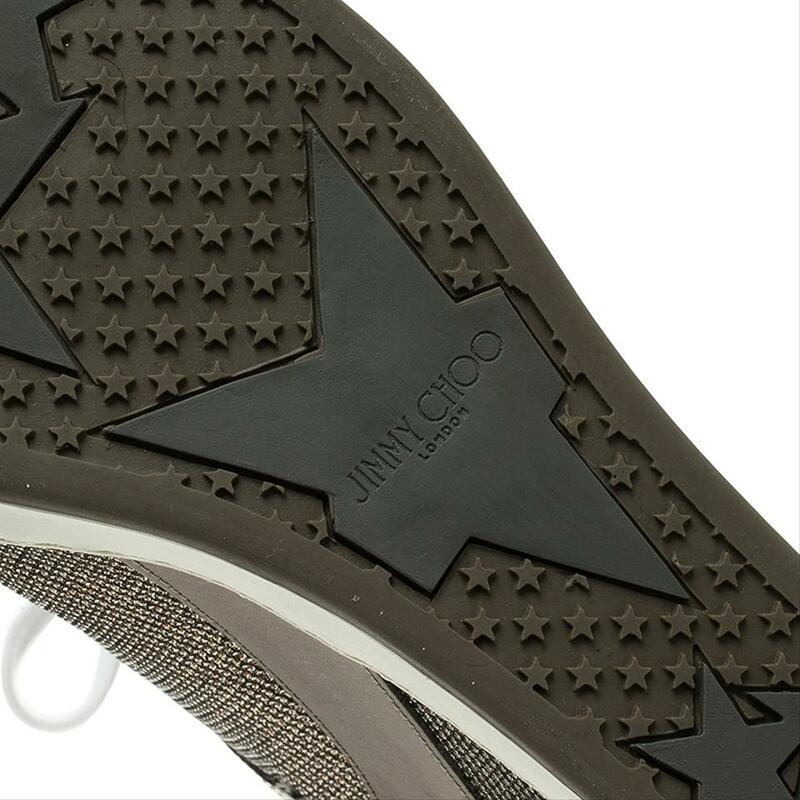 Crafted from the combination of lame glitter and metallic leather, these sneakers have white laces along the shoe arches and star engraving on the soles. 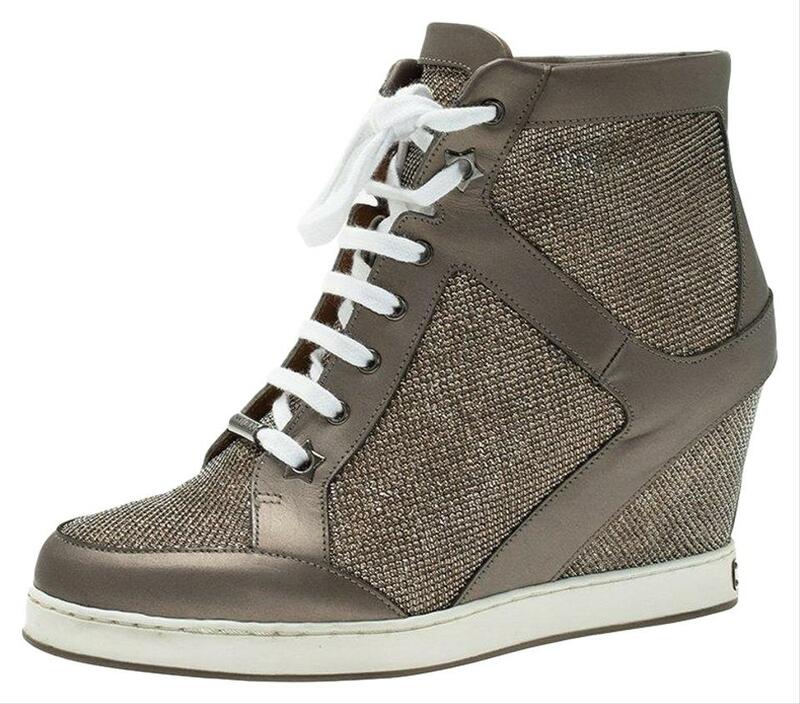 Elevated on 7 cm wedge heels, the insoles are lined with leather carrying brand details.